Purchase a 60-second video spot on the NVMA Vision YouTube Channel for 12 months and receive a 25 percent discount off the month-to-month fee. 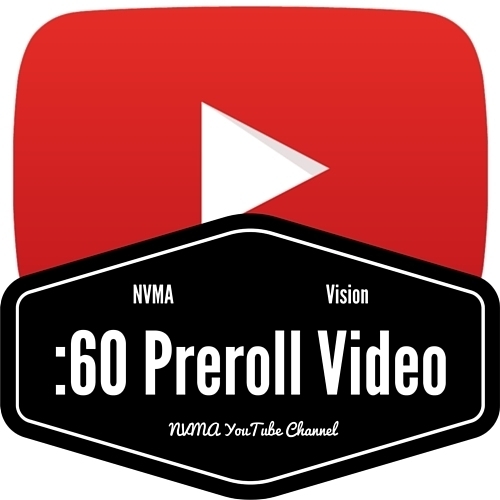 Your 60-second video ad is hosted on the NVMA Vision YouTube Channel and appears as a preroll on the top three currently featured videos on the Channel. You may provide your own video. Send video and questions to steve@cr3at1v3ly1nkl1n3d.com. Video production services are available at a special discount to NVMA members from CR3AT1V3LY1NKL1N3D LLC, digital content producers.